1. 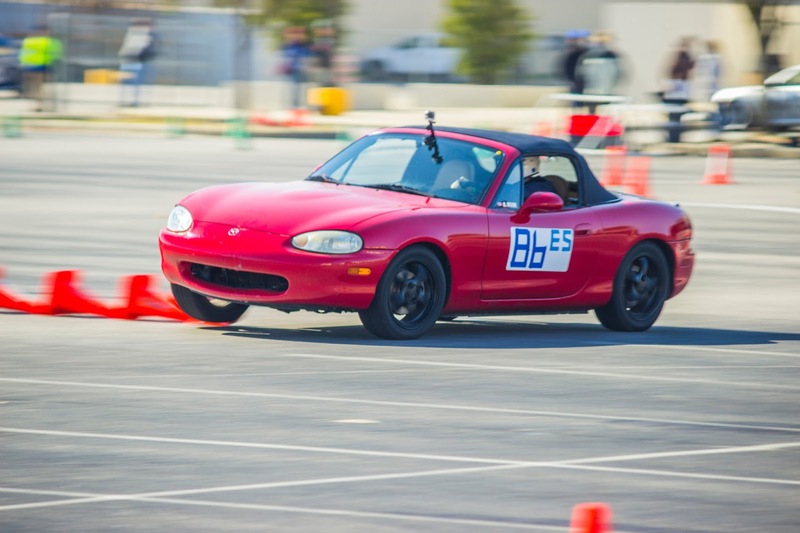 Improve in autocross so that I'm consistently finishing in the top 20% of drivers. Last year I averaged in the top 34%, just barely keeping in the top third for the season. Toward the later half of the season I was getting a lot of very fast runs in during fun runs or during the event but hitting cones. I'm going to focus on getting the quick runs in when they count and work on keeping those cones standing up. I'm not going to focus on where I place in ES class, but really work on keeping up with the top drivers overall. 2. Get out on the track at least one weekend this year. Right now I'm targeting a track weekend with NASA in May at Carolina Motorsports Park. I don't have any competitive track goals this year, but rather getting out there and getting a feel for higher speed on a real track. 3. Try rallycross. Rallycross is just like autocross, where there's a course defined by cones and drivers take turns setting their fastest times except it's held off road. It looks like way too much fun and I'm determined to check it out at least once. It sounds like the ol' Ranger, while not legal for autocross along with all other SUVs, trucks and other high center of gravity vehicles, is legal to rallycross. Stay tuned to see how this turns out. 4. I'm going to reduce the total number of events I compete in this year to open up the budget to upgrade the shocks, sway bar, and add a rollbar to the 99 Miata, but my final goal is to get up to Virginia Beach at least once or twice this year to check out and race at some of those cool sites NMS North has been running at. Only a few days until the first event with SCR. Woo hoo! 2015!